It’s no surprise that the organic skin care beauty market has exploded. Over the years, people have become more aware of what’s inside their skin care products and have begun to make better decisions about what they allow on their skin. As a result, hundreds of new skin care companies have formed to meet this new demand for safe, natural beauty products. Along with this growth also came a flood of natural beauty claims—creating a sort of Wild West of marketing jargon, promises, and misinformation. To help provide a little more transparency (and because we’re obsessed with skin care products), we scoured the internet and compiled this sortable list of the world’s top 69 truly organic skin care lines. First, let’s be clear about what the terms “organic” and “natural” actually mean. Organic refers to something that was produced without the use of pesticides, synthetic fertilizers, genetically modified organisms (GMOs), sewage, ionizing radiation, as well as antibiotics and growth hormones. Natural means something that originally “existed in” or was “derived from” nature. Additionally, if something is “certified organic” or “certified natural,” then you’ll need to look at how that specific certifying agency defines those terms. Want our experts to help you find the best organic skin care products for your skin type? Then, try our Ox Box! A curated box filled with the best organic skin care products tailored for your specific skin type and skin conditions. We’ve updated our list for 2019! You’ll find a few more awesome brands this year! At a minimum, all organic skin care lines on this 2019 top list must have a strong history of happy customers (as indicated by product reviews), contain organic ingredients, and be free from most (if not all) of these harmful chemical ingredients: Parabens, Phthalates, Sulfates, PEG compounds, Petrochemicals & Mineral Oils, Ethoxylated Ingredients, as well as Synthetic Fragrances & Colors (these chemicals aren’t beneficial for the skin and many have been linked to cancer). With that settled, now you’re free to indulge in this ultimate list of 2019’s most delicious organic skin care concoctions. 100% Pure is dedicated to providing a healthy organic skin care line that is free from artificial, synthetic, and other toxic ingredients. All ingredients, including fragrances and colors, are sourced from real plants and fruits. Pamper your skin with 100% Pure's Organic Argan Oil, Kiwi & Pineapple Brightening Cleanser, Organic Cucumber Juice Renewal Serum, or any of their pure products and rest easy knowing that you're using only the best natural and USDA certified organic ingredients. Featuring products with up to 99.6% certified organic ingredients, Osmia Organics skin care line is not to be overlooked. Osmia avoids the use of all the standard toxic offenders (like glycols, parabens, sulfates, and more) while including high quality ingredients like aloe juice, probiotics, castor oil, chamomile, and green tea. Top products from their line are the Adzuki Nourishing Mask (96% organic), Spot Treatment (96% organic), and Nectar Vital Rose Drops (99% organic) with Bulgarian rose. Founded in 2009, Annmarie is an organic skin care line focused on creating the highest quality handcrafted, organic, wildcrafted, and non-gmo products. Their products are 100% natural and have received overwhelmingly positive reviews from customers around the world. Annmarie is completely vegan with the exception of just 4 products that contain beeswax or honey. While all of their products are very impressive, their Aloe Herb Cleanser, Neroli Toning Mist, and Anti-aging Facial Oil are awesome. S.W Basics is an innovator when it comes to simple, pure certified organic skin care. Their 100% organic skin care line includes an organic rosewater and tea tree oil cleanser, an organic raw apple cider vinegar and witch hazel toner, and a heavenly organic shea butter, olive oil, and coconut oil moisturizer. If you want to really spoil your skin, try mixing the brand's organic Hibiscus Mask (featuring French green clay and organic lavender powder) with raw manuka honey or coconut water. Christina Moss Naturals has been developing pure, natural skin care products since 1999. Avoiding all parabens, fragrances, preservatives, PGs, SLS, and many other harmful chemicals, the brand sources only the purest organic and natural ingredients. A few of their most potent organic products are their Organic Facial Wash (97% organic), Organic Facial Toner (97% organic), and their non-comedogenic Organic Facial Moisturizer featuring aloe vera juice, apricot kernel oil, and star anise seed oil. Juice Beauty offers a powerful organic skin care line featuring certified organic ingredients and USDA certified products. 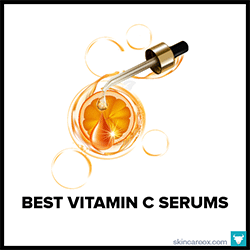 The secret behind Juice Beauty's potent formulas is the addition of over 30 freshly-squeezed organic juice blends, vitamins, and organic fruit acids into every product. Their products, especially their USDA Organic Facial Wash and Treatment Oil, contain no parabens, petroleum, pesticides, phthalates, artificial dyes, synthetic fragrances, and no known harmful chemicals. Nourish Organic's skin care line carries the gold standard of organic certifications: the USDA Certification. All Nourish Organic products contain at least 95%-100% organically farmed ingredients and the remaining 5% are sourced from an approved USDA non-toxic list. A few gems worth noting from their skin care line are the Moisturizing Organic Face Cleanser, Refreshing & Balancing Face Toner, Organic Argan Face Serum, and Overnight Recovery Serum with evening primrose, orange, and avocado oil. After battling with skin problems for most of her life, Suki made it her personal mission to create a skin care line that was truly gentle and effective. Today, Suki Skincare offers top organic products that are free of allergens, parabens, phthalates, petrochemicals, sulfates, and synthetic chemicals. Their most potent organic skin care products, including up to 97.1% organic content, are the Balancing Facial Oil, Ultra Protect Body Balm, Nourishing Facial Oil, and Purifying Foaming Cleanser. Alteya Organics offers a robust line of USDA certified organic skin care products based on the world's highest quality and most fragrant oil-yielding flowers: the Bulgarian Rosa Damascena and Bulgarian Lavender. Family owned and operated, Alteya's organic products are free of parabens, sulfates, synthetics, phthalates, and petrochemicals. Indulge in Alteya's Bio Damascena Rose Cleansing Milk (99.5% organic), Facial Toner (99% organic), Moisturizer (99% organic), and Face Serum (99% organic). One Love Organic's award-winning skin care line is certified by ECOCERT and made in small batches in Georgia. Many of their products include ingredients that are 100% from natural origins and up to 92.5% from organic farming. By blending the antioxidant power of vitamins with the healing power of organic oils and fruit extracts, One Love Organics creates top rated products like their Vitamin B Enzyme Cleanser, Skin Dew Coconut Water Cream, and their caffeinated firming serum, Morning Glory. Family owned and operated, Acure Organics was founded on the principles of sustainability and health. The full Acure Organics skin care line is crafted from USDA food-grade, certified USDA organic, and plant-based ingredients; thus, their products are free of parabens, sulfates, phthalates, and unnatural ingredients. Acure's USDA certified organic skin care line includes potent oils (Argan, Pomegranate, and Rosehip), as well as the Seriously Glowing Facial Serum and Quick Fix Correcting Balm. With a potent organic skin care line containing between 98-100% natural and 51-83% organic ingredients, it's no wonder skin care insiders and experts can't stop raving about Ursa Major. All of Ursa Major's products contain zero toxins (like sulfates, phthalates, parabens, glycols, silicones, synthetics, etc.) and are gluten-free. Their daily organic skin care line includes the Fantastic Face Wash (51% organic), Essential Face Tonic (53% organic), and the Fortifying Face Balm (82% organic). Although rms beauty is primarily a makeup brand, they offer a few organic skin care products (crafted from the highest quality organic ingredients) that definitely deserve attention. Coconut oil fans will love rms beauty's cold-pressed Organic Raw Coconut Cream, Coconut Oil Skin Balm, and Ultimate Coconut Oil Makeup Remover Wipes. Their ultimate organic skin product, the Beauty Oil, is crafted from coveted ingredients like jojoba seed oil, rosehip seed oil, turmeric, olive leaf, and ashwagandha. Cocovit specializes in one thing: really exceptional coconut oil. Using their proprietary method of heatless, chemical-free extraction (allowing them to retain all of the benefits of a fresh raw coconut), Cocovit has arguably the finest organic coconut skin care product on the market. Their flagship, the Cocovit Coconut Oil (100% organic), is an ideal multi-purpose skin care remedy. For an instant boost, try the ultra-pure Coconut Charcoal Face Mask with activated charcoal and Bentonite clay. Tata Harper's organic skin care line is certified by ECOCERT,100% natural, and never includes synthetic chemicals. In fact, the company grows and formulates all of their products on their own Vermont farm. Additionally, each Tata Harper product is packed with 9 to 29 powerful active ingredients sourced using the latest extraction and preservation techniques. Tata Harper's top organic products include their Nourishing Oil Cleanser, Concentrated Brightening Essence, and Honey Blossom Mask. Using a combination of organic and food-grade ingredients like oats, almonds, sugar, and expeller-pressed oils, Soapwalla (which means "soap master" in Hindi) designs products that are good for humans and good for the earth (their packaging contains no BPA or heavy metals). While the brand is known for their soaps (their Activated Charcoal & Petitgrain Soap Bar is a must try), they also craft little-known gems like the Restorative Face Serum, Hydrating Toning Mist, and Concentrated Repair Balm. Trilogy, founded by sisters Sara Gibbs and Catherine de Groot, is the first New Zealand skin care company to receive the NATRUE cosmetics certification. They also hold the BioGro Organic Certification for their Organic Rosehip Oil, Rosehip Oil Antioxidant formula, and CoQ10 Booster Oil. These oils feature an abundance of rich essential fatty acids that are key for hydration because of Trilogy's solvent-free extraction process. Trilogy has won over 59 distinguished international beauty awards. Founded by Australian supermodel Miranda Kerr, Kora Organics is an ECOCERT certified organic skin care line offering products formulated to the highest standards. Miranda packs the powerful antioxidant which she credits for her youthful skin, Noni Fruit Extract, into each Kora Organics product. Their products are typically 99% naturally sourced and up to 98.7% organically sourced (varies by product). Kora Organics is known for their Luxurious Rosehip Oil products and Heart Chakra Essence. Beauty By Earth offers a truly healthy line of organic products containing USDA certified ingredients, natural botanicals, and no harmful chemicals. Like their Aloe Vera Gel (98% organic) which contains over 200 active vitamins, enzymes, and amino acids to help protect and replenish the skins natural barrier. For the complete regimen, try their Makeup Remover, Face Wash, Facial Scrub, Hydrating Face Mask, and Rose Water Facial Toner with witch hazel, radish root, cucumber, and aloe vera juice. Formulated using 100% plant-based, food-grade, and organic ingredients, Earth tu Face is a high-quality organic brand founded by two herbalists who believe that you should never put on your skin what you wouldn't eat. Their truly delicious skin care line is free from fillers, fragrances, synthetics, refined oils, alcohol, preservatives, and many others unwanted toxins. Highlights from their line are the Honey + Coconut Mask, Rose + Aloe Toning Mist, and a Blue Chamomile + Carrot Seed Face Serum. Mahalo Skin Care is an eco-conscious organic skin care brand featuring nothing but the highest quality natural botanicals. Based on a mix of ancient Polynesian and Eastern healing techniques, every product sold by Mahalo is hand-crafted in beautiful Kauai, Hawaii. Their ingredients are sourced from local Hawaiian co-ops, bio-dynamic farms, and (when possible) their own garden. Their most popular products include the Petal Mask, Rare Indigo Balm, Vacation Glow body oil, and the Unveil cleanser. Certified by The Organic Food Chain (OFC), Mukti Organics is one of Australia's top luxury organic skin care lines. Established in 2000, Mukti products are crafted in small batches with high quality organic ingredients that are locally sourced from Australia. While all of their products feature at least 95% organic materials, a few of their most potent beauty products include the Aloe Vera Moisturizer (95% organic), Clarity Balm Acne Treatment (95% organic), and Rosehip Eye Gel (95% organic). So good, you could eat it! Certified organic by the USDA, Sky Organics products use only the finest ingredients when crafting their luscious line of body butters, carrier oils, toners, and potent botanical serums. Whether you decide to nourish your skin with their artisanal mango, cocoa, and shea body butters or pump up your daily facial routine with their Organic Rose Water Toner and Castor Oil serum, your skin will thank you for the boost of antioxidants, proteins, and essential fatty acids. The Founder of Zoe Organics, Heather Hamilton, started the company with the mission of helping people to eliminate toxins from their body and environment. As such, Zoe Organics offers a line of skin care products for pregnant mothers and babies which contain only the highest-quality certified organic ingredients. Their ultra-rich Cream, crafted from 100% organic ingredients like shea butter, coconut oil, rose oil, and avocado oil, holds a perfect score on the EWG Skin Deep Cosmetics Database. Little Barn Apothecary takes its namesake very seriously. All of their skin care products, which use certified organic ingredients, are hand-made in small batches at the company's production studio in Atlanta, Georgia. Fans of the brand rave about the pore-tightening ability of the Charcoal + Aloe Face Cleanser (made with activated bamboo charcoal, aloe, and cajeput oil), the instant results of the Carrot Seed + Rose Hip Eye Serum, and the hydrating power of the Orchid + Blackcurrant Face Serum. SanRe is a USDA Certified Organic skin care brand that makes a delicious full line of products including face, hair, and body. You'll never find anything synthetic or toxic in their products (even their sunscreens are made with non-nano zinc oxide) and almost all of their products contain 100% pure organic ingredients. Some of their highest rated organic products include their Siesta Sunset night cream, Dawn Delight (with matcha tea and rose cream), and their new C-Love vitamin C moisturizer. Dr. Bronner's has a long-standing (almost 160 years) history of making the world's best soap products. Today, Dr. Bronner's offers an array of USDA certified organic skin care products ranging from soaps to body lotions and balms. While many may know of the brand's famous organic pump soaps and Castile soaps, their newer products, like the Arnica-Menthol Organic Magic Balm, Lavender Coconut Organic Body Lotion, and Lemongrass Lime Organic Shaving Soap, are just as pure as their flagship soaps. Madara Cosmetics specializes in creating powerful certified organic skin care products based on the flowers and herbs from the Baltic meadows and forests. Madara's products, like their luscious Cleansing Milk, Balancing Toner, and Time Miracle Ultimate Facelift, typically include 99% natural ingredients and up to 81% organic ingredients. One of their top reviewed products is the Superseed Age Recovery Organic Facial Oil which includes potent antioxidants like Blackcurrant and rosehip oil. Ila organics takes pride in going "Beyond Organic," which means sourcing their ingredients from remote locations across the globe to ensure that they are free from contamination at the source. Ila's organic skin care line is built around the brand's three key ingredients: organic Argan oil, Himalayan salt crystals, and organic Rose Otto Damascene. Look for these luxurious ingredients in products like ila's Cleansing Milk for Natural Beauty, face oils, body creams, and age-restoring masks. After seeing the detrimental effects of standard beauty products on stylists after years of continuous exposure, the creator of Aveda, Horst Rechelbacher, founded Intelligent Nutrients as a safer alternative. Intelligent Nutrient's organic skin care line features products that are certified 65-95% organic by the USDA and Organic Soil Association. Their USDA certified organic line includes the Gentle Cleansing Lotion, Purifying Tonic, Renewing Oil Serum, and Restorative Moisturizing Emulsion. Certified by ECOCERT, Absolution Creative Apothecary's luxury organic skin care line is free of parabens, nanoparticles, silicone, perfumes, GMOs, phenoxyethanol, and toxic packaging materials. Absolution goes beyond the minimum standards of ECOCERT and offers a luscious line of highly potent organic products that include at least 50% organic ingredients: Le Soin Regard Eye Cream (65% organic), La Creme Riche Moisturizer (72% organic), and Addiction, l'Huile Visage Face Oil (94% organic). Pangea Organic's USDA certified organic skin care line includes a hydrating Australian Wild Plum & Willow Facial Cleanser, softening Argentinean Tangerine & Thyme Facial Toner, a luxurious Nigerian Ginger w/ Lavender & Thyme Facial Moisturizer, and many other effective products. All Pangea Organic products contain a minimum of 70% organic content and never contain synthetic fragrances and detergents, parabens, sodium lauryl sulfate, PEGS, propylene glycol, or other undesirable chemicals. EO Products has been in business for 20 years and crafting certified organic products for 12 years. They vow that all of their products are free from synthetic fragrances, GMOs, and gluten. In addition to that commitment, EO Products also offers a USDA certified organic skin care line that includes essentials like Lavender Deodorant Wipes, an Ageless Skin Care Argan Face Oil crafted from a blend of organic jojoba, argan, and avocado oils, as well as their top rated Revitalizing Body Serum. Bare Bones Body believes in simple and truly organic skin care products. Their 100% organic skin care line is handcrafted in small batches and free of toxic and synthetic ingredients (and zero preservatives!). Their standard skin care regimen, which includes the Organic Rosewater Cleanser, Witch Hazel and Lemon Juice Toner, Black Magic Mask, Organic Shea + Coconut Oil Moisturizer, and Hemp Seed and Palmarosa Face Oil, is sure to provide intense nourishment-- even for those with sensitive skin. The motto of Bubble and Bee is to "Make Organic Fun!" You won't find any artificial fragrances, colors, or preservatives in this line of organic skin care products certified by the Utah Department of Agriculture and USDA. The company uses only the safest natural ingredients when organic ingredients aren't possible. Try their lovely skin care regimen with the Honey & Rosehip Organic Facial Cleanser (94% organic), Certified Organic Witch Hazel (100% organic), and the Certified Organic Face Cream. 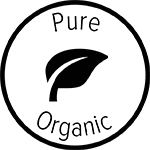 Miessence is fiercely committed to good health and transparency; that's why their products are certified organic by the ACO, USDA, and Biological Farmers of Australia. Each step of their production process is strictly monitored and all products that enter their warehouse must be certified organic. While it is difficult to narrow down the best Miessence products, their Rejuvenating Cleanser for Dry Skin, Ambrosia Essence, Garnet Exfoliant, and Soothing Couperose Gel are among the top choices. Containing a minimum of 55% certified organic ingredients in each product, Indian Meadow Herbals takes pride in being the premier source for high-quality organic herbal skin care creams, salves, and oils. In fact, 60% of their skin care line is certified USDA organic. Some of their delicious products include a Wild Blueberry Facial Cleanser (97% organic), Wild Blueberry Lavender Facial Mist (99% organic), Organic Love Your Face Cream (99% organic), and the Wild Yam Root Cream (95% organic). USDA Certified Organic, hand-crafted, and filled with genuinely effective natural and organic ingredients, Terressentials' 25 year old skin care line passes the sniff test of even the most discerning skin care aficionado. Their quality ingredients are even grown on their own organic farm in the pristine Catoctin Mountains of the Appalachian Trail. Fans love their Flower Therapy Exfoliating Facial Toner, Daily Renewal Facial Lotion, Silken Velvet Body Lotion, and Replenishing Facial Mask. Organoderm was created by skin care expert and plastic surgeon Dr. Domanskis and uses bio-active botanicals to design an effective organic skin care line. 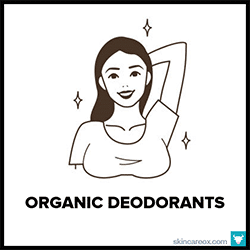 Organoderm's products are USDA Certified Organic, so they are guaranteed to have at least 95% organic ingredients, and they never use toxic chemicals like parabens, phthalates, or synthetics. 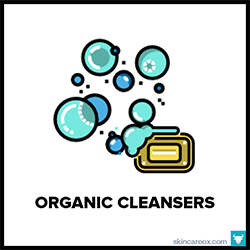 Some of their top certified organic products to try are the Fresh Foaming Organic Cleanser, Organic Raw Sugar Exfoliator, and the Organic Body Cream. Marketed as an organic solution for people suffering from eczema, psoriasis, keratosis pilaris, or dry skin, Trillium Organics offers USDA Certified Organic skin care products made from the purest ingredients. Their Organic Body Polish, a worldwide favorite and flagship of the brand, claims to "do it all" with its blend of sunflower, safflower, essential oils, and crystalline salt. Another gem is Trillium's USDA Certified Organic Body Oil with moisturizing olive, jojoba, and sunflower oils. Crafted from some of the purest botanicals in the world, Dr. Mercola's Healthy Skin organic skin care line includes a range of USDA Certified Organic products backed by powerful science. The company aggressively avoids GMOs and fights against their use worldwide. Their robust line features an Organic Citrus Cleanser with orange peel and aloe vera, an Organic Chamomile Toner with apple cider vinegar and chamomile, and an Organic Acai Night Moisturizer with powerful acai, shea, and calendula oils. Rose Tattoo Aftercare provides 100% natural and up to 99.5% organic skin care products to assist with proper tattoo care. Their creams, like the USDA Certified Organic Rose Balm (97% organic) and USDA Certified Organic (99.5% organic), are antiseptic, anti-inflammatory, and analgesic; making them ideal products for delicate newly-tattooed skin. Each product contains organic Bulgarian Rose Damascena oil, which is known to improve circulation, prevent scarring, and act as a natural healing agent. Have you heard of ozonated oils? If not, prepare to be amazed by the instantaneous results of these futuristic oils. Invented and sold by famed inventor Nikola Tesla as Glycozone, ozonated oils blend premium grade skin care oils (like olive, coconut, jojoba, castor, and hemp oils) with pure oxygen (in the form of ozone). PurO3 creates their organic line by bubbling powerful oxygen through their organic oils until fully saturated. Apply daily to your face and experience the results for yourself. Located in Brooklyn, N.Y. Eir NYC is an organic skin care line designed for people with active lifestyles. Their products are free of parabens, toxic chemicals, and artificial fragrances and contain a variety of nourishing organic ingredients. For those who spend a lot of time in the sun, check out their Face Rescue nighttime moisturizer made with elderflower, almond, and rosewood oils. Even better, Eir's Sunset Oil is specifically formulated for beach bums with aloe vera, arnica, and chamomile. After suffering with acne and dealing with questionable skin care products his whole life, Troy Johnston founded FoxBrim as a safe, natural alternative. FoxBrim offers a line of 100% pure organic skin care oils that are free from parabens, phthalates, PEG and SLS, and many other harmful ingredients. Their most coveted oils, namely their organic neem, castor, jojoba, rosehip, and argan oils, contain only pure certified organic ingredients which are ideal for hydrating and repairing dry skin. Neal's Yard Remedies line of organic skin care products contains no silicones, mineral oils, parabens, GMOs, phthalates, glycols, nanoparticles, DEA, or BHT. The brand uses organic, natural, and wild ingredients whenever possible. Noteworthy highlights from their organic skin care line are the Rosehip Oil (100% organic), Palmarosa Facial Wash (83% organic), Rejuvenating Frankincense Toner (97% organic), and Wild Rose Beauty Balm (99% organic). Fans also rave about their Argan Oil (100% organic). Bee Friendly Skincare has partnered with ethical bee keepers in Hawaii to create their line of holistic organic skin care products. The company makes all of their products fresh each and every single week, guaranteeing you the freshest and finest organic honey. Their Raw Honey Facial Mask, crafted from raw Hawaiian wildflower honey, diatomaceous earth, and blue green algae, is a must for sufferers of acne due to the anti-microbial, anti-fungal, and anti-bacterial properties inherent in honey. ilike Organic Skin Care is one of the most loved organic skin care lines around. Their products are distributed by a 50 year old Hungarian skin care line, Szép Élet. ilike boasts the prestigious Hungarian Quality Product Award, a manufacturer with a Hungarian Organic Certification, and a vow to only use certified organic ingredients. Their delicious line of products, all with top reviews, include the Nettle Exfoliating Wash, Yogurt Power Peel, Rosehip Toner, and Defense Bioflavonoid Moisturizer. Estelle & Thild is a Swedish ECOCERT certified organic skin care line founded in 2007. Using luscious natural active ingredients such as organic apricot kernel oils, almond oils, and pure aloe leaf juice, Estelle & Thild has crafted five robust skin care ranges each designed to target a specific concern: BioCleanse (for cleansing), BioCalm (for redness and complexion issues), BioHydrate (for moisture), BioDefense (for anti-aging defense), and SuperBioActive (for supercharged anti-aging effects). Australian made with natural and organic ingredients, MV Organic Skincare's mantra is "no compromises" when it comes to their ingredients. Endorsed by naturopaths, dermatologists, and holistic doctors worldwide, MV's products are truly effective and gentle. Potent organic products from their line include the Gentle Cream Cleanser (with luscious honeysuckle extract), 9 Oil Cleansing Tonic (with avocado and carrot seed), Rose Plus Booster (with rose damascena), and organically grown Jojoba Oil. Happy Skincare is an Australian organic skin care line started by a family with a passion for mixology. The brand creates products using amazing local Australian fruits (like the Kakadu Plum which has the world's highest concentration of Vitamin C) and organic omega-rich oils (like chia seed, hemp seed, pomegranate, and macadamia oils). Some of Happy Skincare's highest potency organic products include the Cloud 9 Cleansing Balm (84% organic) and Raindrops on Roses Hydrating Tonic (96% organic). Kelapa Organic's skin care line is proudly Certified Organic by ACO to contain only the highest quality organic and natural ingredients. Based upon the nourishing healing properties of coconut oil, Kelapa's products are ideal for those with sensitive skin who suffer from psoriasis, dermatitis, or eczema. Their eight product skin care line features a Cream Face Cleanser with organic jojoba and rosehip oil, Coconut & Rosehip Face Oil, and an Organic Face Moisturizer with aloe vera and coconut oil. La Mav, one of Australia's first and largest certified organic skin care lines, combines the healing properties found in nature's finest ingredients with advancements in modern science to create truly effective products that are free from all harsh chemicals. La Mav carries a robust line of products including 100% certified pure organic skin care oils (such as hempseed, jojoba, rosehip, and camellia), a must-try Hibiscus Extract Ultra-Lift Creme, and a Anti Dark-Circle Eye Gel (a fan favorite). 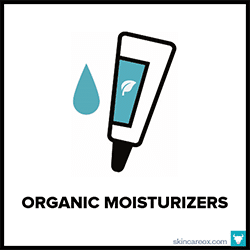 what makes a good organic skin care line? We give this badge to skin care lines that offer a complete skin care regimen (i.e. cleanser + toner + serum + moisturizer) which contains only 100% pure organic ingredients. 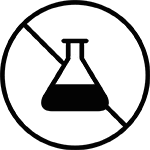 A badge for companies that do not use any genetically modified organisms (GMOs) in their line of organic skin care products; verified by a company statement or certification. 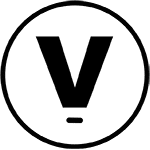 Denotes a company that does not test on animals: Indicated by either an official PETA Leaping Bunny certification, other third party certification, or vow from the company. 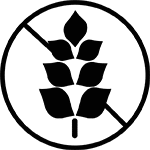 Indicates that the skin care company has either earned a gluten-free certification or stated that their products are gluten-free based on quality control and pure ingredients. 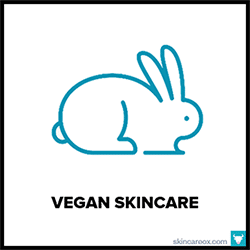 Denotes a skin care line that contains no animal products or may offer a few non-vegan products with full transparency as to which products do not meet vegan quality standards. A skin care company, manufacturer, or skin care line that has received an official organic certification by a recognizable authority such as the USDA, ECOCERT, ACO, and others.